You've been told that "everything is normal" or given a diagnosis without a clear explanation or any sense of hope. You just don't feel good, nobody is listening to you, and you don't know what to do. If this is eerily familiar, I can help. I will listen to you and show you that there is always hope. Schedule a call with me and let's talk about how Rebel Healthcare can get you back to you. and get you closer to feeling like yourself. hopeful, empowered, and capable of improving your health and life. Set up a free call with me. Pain and chronic illness are not something that you have to live with. I'm Dr. Kirsten Harrison. I practice holistic medicine from a functional perspective. My journey to becoming a physician began when I was 10 yrs old and followed a winding and adventurous path. I have been a waitress, a missionary, a nanny, an EMT, and an Apple Retail employee. I took the less conventional path from kid who wanted to be a "pedestrian" (that's 10-year-old speak for "pediatrician") to grown-up, 40-something doctor. Now I'm a Chiropractic Physician, and even that ends up outside of tradition. My entire life is a bit of a rebellion against convention. Why would my practice be any different? 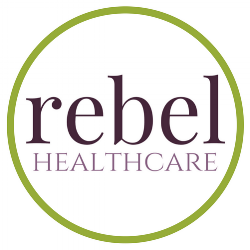 Click here for more information on Rebel Healthcare.